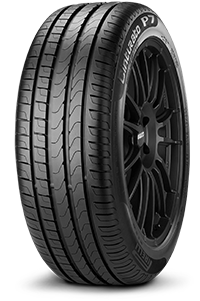 Manufactured to be one of the most eco-friendly and efficient tyres on the market, the P7 Cinturato is designed to wear evenly throughout the life of the tyre. The P7 Cinturato came out as an “Exemplary Test Winner” in Auto Bild’s 2011 test and emerged as a “very recommendable” tyre from tests by six other auto magazines. With this fantastic Pirelli tyre you are able to drive more miles and create less road noise whilst knowing your tyres are going to keep you safe and never let you down when cornering or in wet conditions.